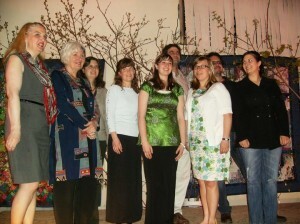 The Writers’ Federation of New Brunswick (WFNB) is now accepting submissions to its 2012 Literary Competition with greater cash prizes to be won. The non-profit organization has increased its prize purse to $1,700 for top entries in the contest’s prose and poetry categories. The competition is open to all New Brunswickers and members of WFNB. Top prizes include the Alfred G. Bailey Prize, which awards $400 for the first place poetry manuscript and The Richards Prize, named for David Adams Richards, which also has a $400 value, and is given to the winning submission in one of three categories: collection of short stories, a short novel, or substantial portion of a longer novel. The Sheree Fitch Prize for poetry is open to young writers, up to age 18, and is worth $100, while a $200 prize is awarded for the winning entry in the children’s literature category. Submissions can be prose or verse and written for children, ages four to eight. Prizes of $200 are also offered to writers for their work in each of the following categories: individual poems, short fiction and non-fiction. Entries must be postmarked by February 29, 2012 and mailed to WFNB, PO Box 306 , Moncton , NB , E1C 8L4 . For more information, a complete list of contest rules and entry fees, visit www.wfnb.ca, telephone (506) 459-7228 or email wfnb@nb.aibn.com. Now in its 26th year, WFNB is a non-profit advocacy and support organization brings together writers in all disciplines and at all levels of development to recognize, encourage and promote their work. For a collection of short stories, a short novel, or a substantial portion of a longer novel (between 15,000 and 30,000 words). Work must be unpublished although some individual stories may have been previously published. For poetry manuscripts not previously published, in whole or in part, in book/chapbook form (individual poems published or accepted for publication in periodicals may be included). The competition is open to all New Brunswick residents as well as all members of WFNB. Previous winners may not enter in the category in which they won for one year.